Older cats often suffer from a range of health issues - many of which are treatable. Watch out for any unusual behaviour, and talk to your vet if you have any concerns. Is your ageing cat beginning to 'slow down'? While it can be easy to dismiss changes in your cat's behaviour as a normal part of getting old, many conditions are treatable - and getting help from your vet could improve the quality and extend your cat's life. Talk to your vet if you have any concerns about your cat's health or notice any changes in their behaviour. By catching problems early your vet may be able to prevent a troubling condition from developing into a life-threatening disease. Arthritis is an inflammation of the joints - a condition that is extremely common in cats. It often goes unnoticed because owners think the cat is just slowing down with age. But arthritis is an extremely painful condition, so it's worth getting your cat checked regularly in case they need to be treated. Getting treatment for a painful condition like arthritis can make a huge difference to your cat's quality of life. Overweight cats may be more likely to suffer from arthritis, so it's very important to ensure your cat maintains their ideal weight. Regular, moderate exercise through playing is the best way to achieve this. Cats can develop different types of tumours which can be benign (not harmful) or malignant - faster growing and usually harmful. Tumours sometimes spread to other parts of the cat's body. You can check for lumps and bumps by regularly feeling all over your cat's body. Cats can experience changes in bowel and toileting habits as they get older, including constipation. Ensure your cat always has access to fresh water. Deaf cats use their other senses to compensate for their lack of hearing - so it may be difficult to tell that your cat has lost their hearing. 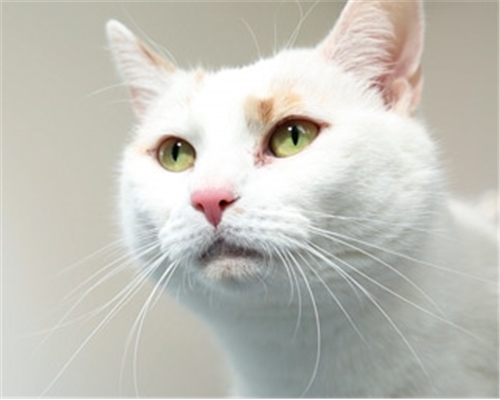 For more information on helping a deaf cat, see our guide to helping cats with disabilities. Older cats need regular dental health checks to look for signs of dental disease, including tartar build up and red, inflamed gums. 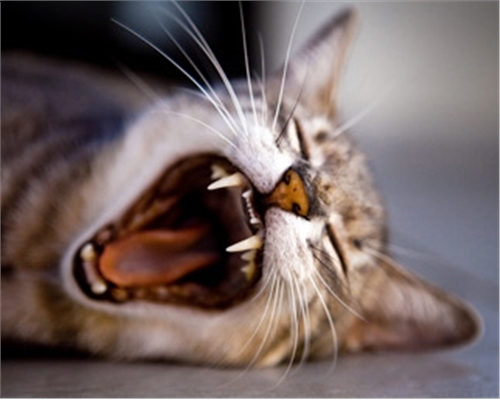 Ask your vet about health checks and preventative care for your cat's teeth. This condition affects the control of blood sugar levels and usually occurs in middle-aged and older cats, particularly those that are overweight. Diabetes is often treated more successfully if detected and treated in the early stages. In cats, high blood pressure, known as hypertension, is often caused by another underlying disease. For example, cats suffering from kidney disease or hyperthyroidism often have some degree of hypertension as well. It can also occur as a primary condition. The organs most vulnerable to the effects of high blood pressure are the eyes, kidneys, heart and brain. Initially, there may be very few signs of high blood pressure, particularly if it is the primary problem. Sometimes the signs appear very suddenly. Many cats go on to lead relatively normal lives following diagnosis and stabilisation of hypertension, but this depends on the type and severity of any underlying disease. If left untreated, these signs can become permanent, so talk to your vet as soon as possible. The thyroid is made up of two glands located on either side of the windpipe at the base of your cat's neck. It helps to regulate metabolic rate. In some cats, the thyroid becomes overactive which speeds up the metabolism. Hyperthyroidism mainly affects cats over the age of 10 and can occur in either or both of the glands. Talk to your vet if you notice any of these symptoms. Once treated for hyperthyroidism, cats usually return to normal fairly quickly. If the disease is detected and treated early on, the cat often lives for several more years. Untreated, it can damage other organs. Disease of the kidneys is one of the most common problems affecting middle-aged and older cats. Unfortunately, damage to the kidneys is irreversible and tends to worsen over time. However, with the help of treatments, cats can often maintain a good quality of life for several months or years. Most cats don't show signs of chronic kidney disease until 75 per cent of the kidneys are damaged. Many vets try to diagnose kidney disease in its early stages, before clinical signs develop, by offering cat owners the option of urine and blood tests at routine check-ups and vaccinations. By doing this, early dietary management or other treatment may significantly extend an affected cat's life expectancy and quality of life. Cognitive dysfunction is a decline in higher brain functions, including memory and learning that often occurs with old age.